It’s very exciting that we are about to kick off our 2016 Fall Festival. 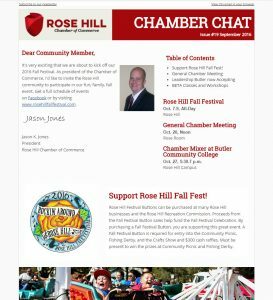 As president of the Chamber of Commerce, I’d like to invite the Rose Hill community to participate in our fun, family, fall event. Get a full schedule of events on Facebook or by visiting www.rosehillfallfestival.com.